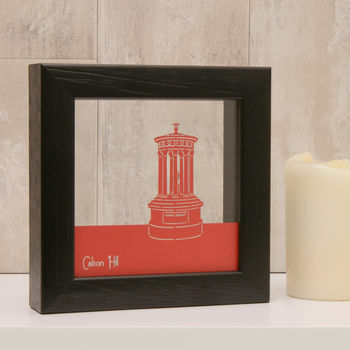 A stylised picture of the Dougald Stewart Monument at Calton Hill in Edinburgh, brought to life in this delicate papercut design. An ideal gift for anyone with a soft spot for Edinburgh, this mini wall art features a laser cut piece of paper suspended between two sheets of glass to produce a floating effect for the artwork. This item can be hung on the wall or can be placed on a book shelf or mantlepiece. 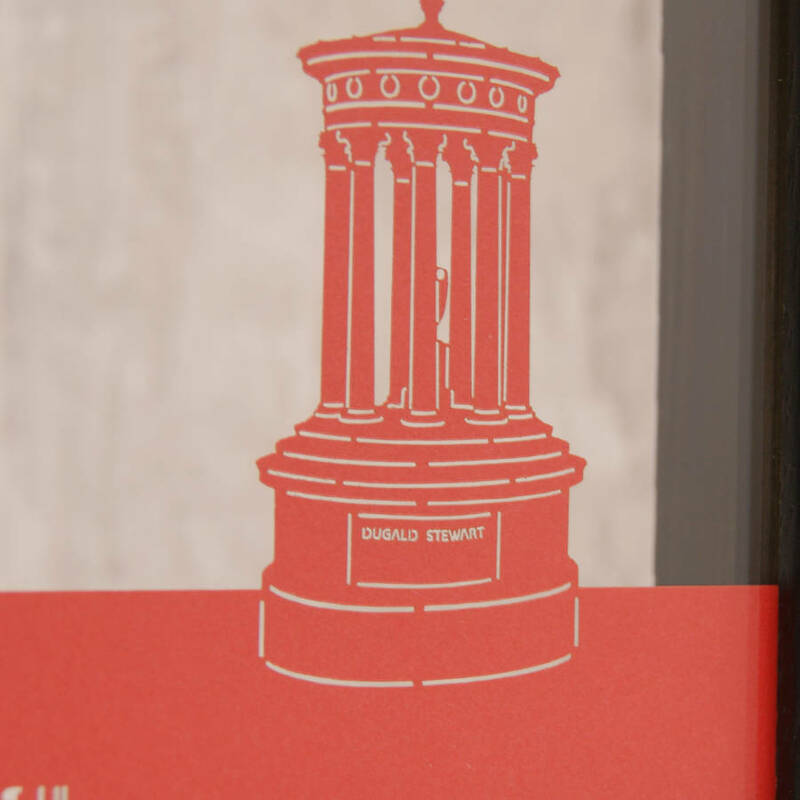 We have more than 40 designs in our range of UK landmark artworks, and they look great both individually or in a set. 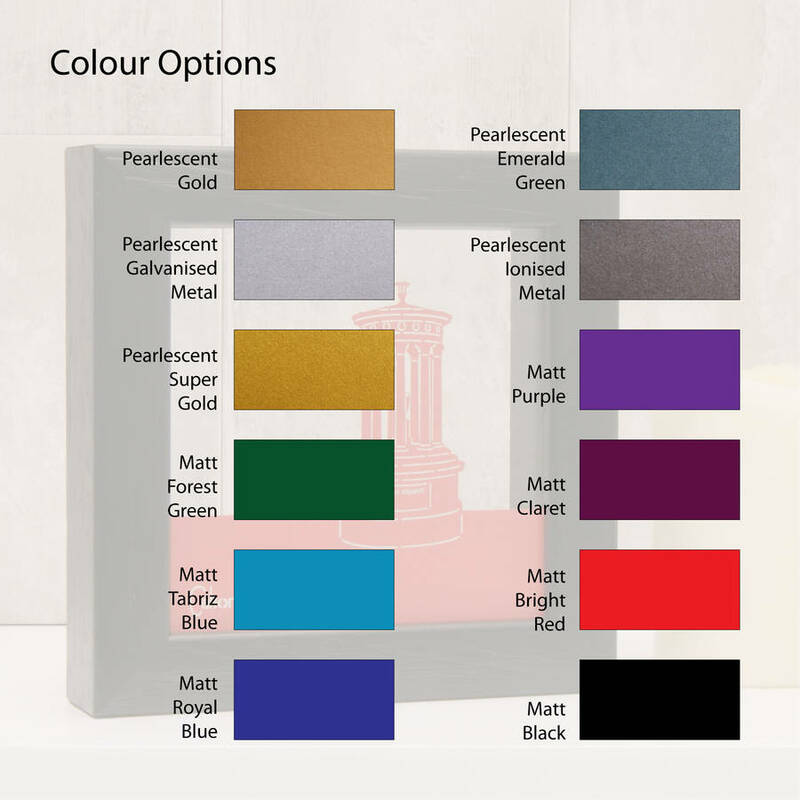 The mini wall art is available in the following colours: Pearlescent Gold, Pearlescent Emerald Green, Pearlescent Galvanised Metal, Pearlescent Ionised Metal, Pearlescent Super Gold, Matt Purple, Matt Forrest Green, Matt Claret, Matt Tabriz Blue, Matt Bright Red, Matt Royal Blue and Matt Black. 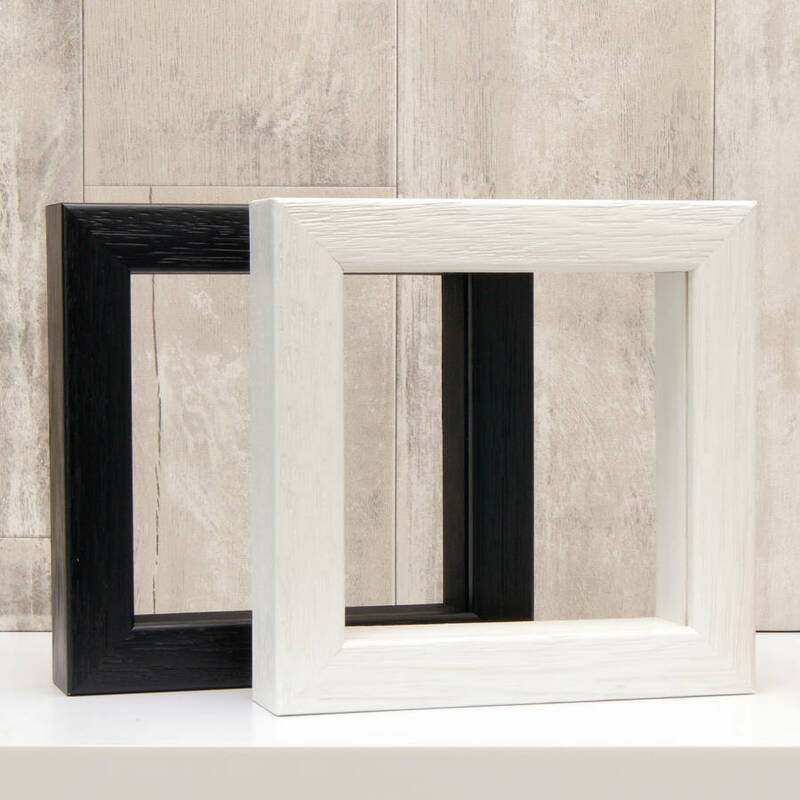 You can choose to frame your piece in a matt black or matt white wooden frame, which is also hand-crafted in our studio. 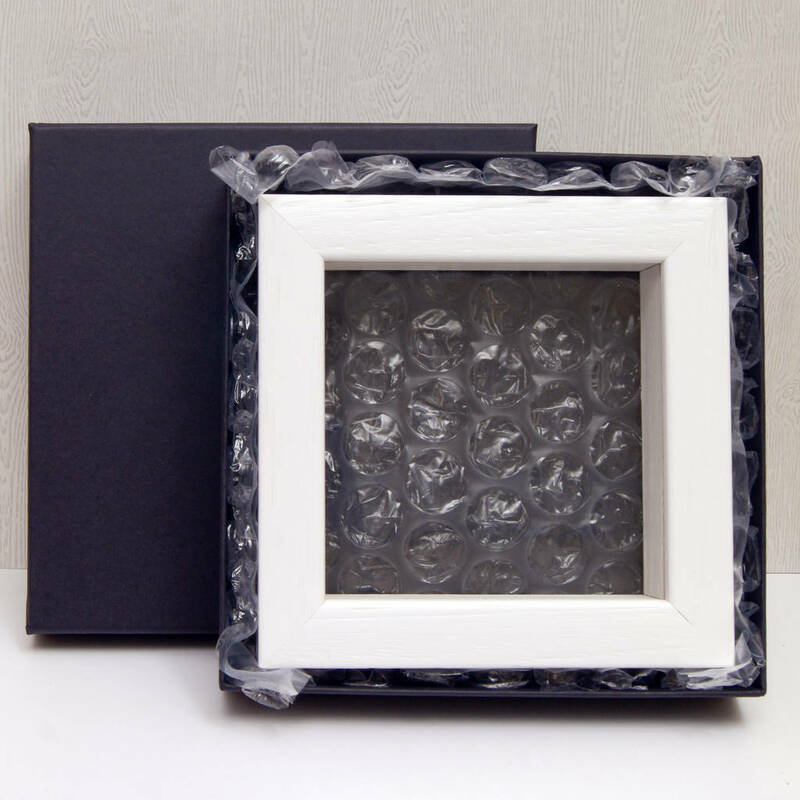 We offer the option to have your item gift boxed in a solid black box (16cm x 16cm) for an additional fee of £2.95. Please select 'yes please' from the dropdown menu if you would like this option. Please do not place in direct sunlight and avoid damp conditions. 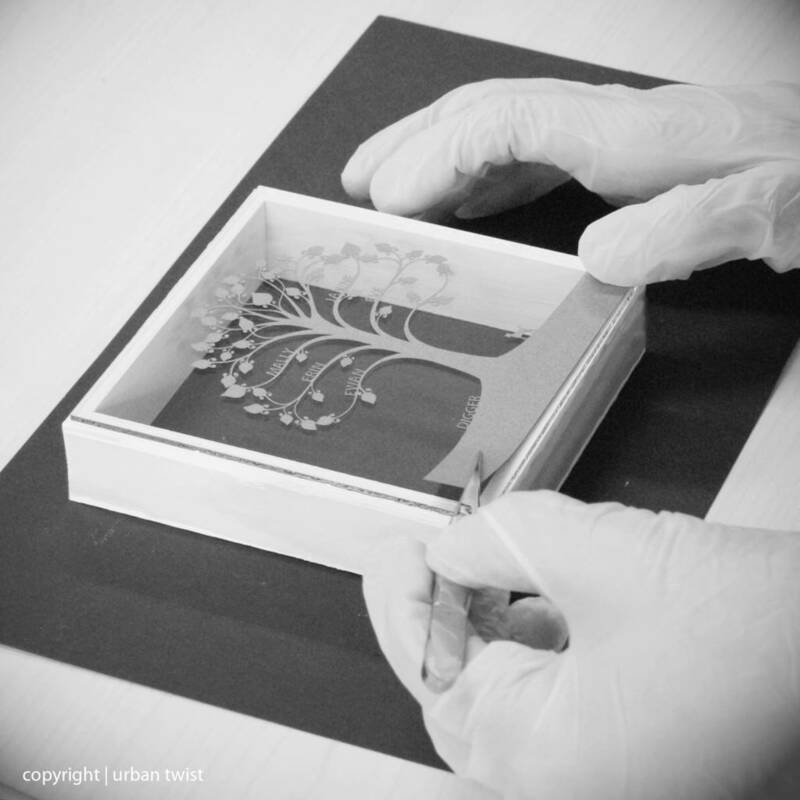 This product is dispatched to you by Urban Twist.